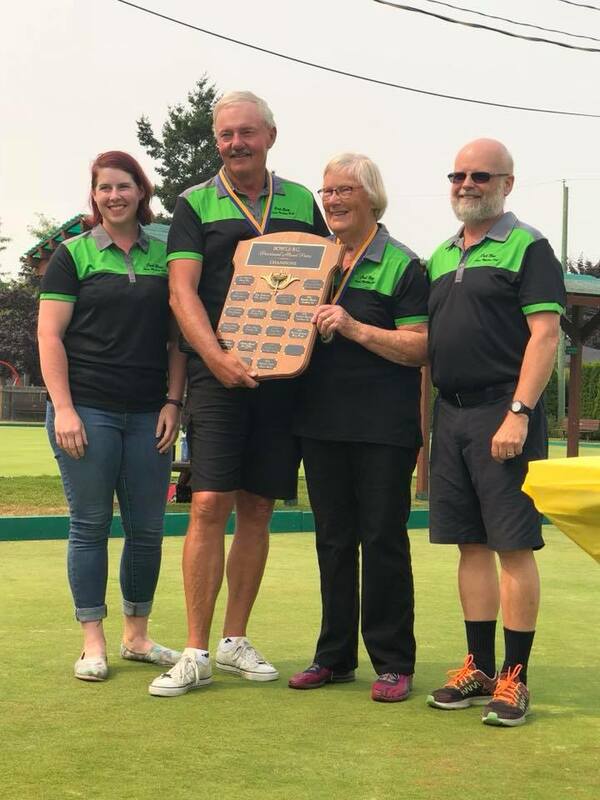 It was another great weekend of Provincial Championship Bowls in British Columbia, as it was a smaller field then normal that made it to Oak Bay, due to the new Bowls Canada structure of Canadian Championships. The new format only allows competitors to participate that haven’t won a Provincial Championship into the tournament. This would be the last chance for bowlers to make it to a Canadian tournament for this year. Oak Bay LBC one again put on a great display for the participants, as the Club stepped up to host the tournament, so a huge thank you to all the volunteers that made this a successful event. Once again the format was laid out that there would be round robin as 16 Teams, most of the Teams were from Vancouver Island and they play sectional games before determining the final 8 Teams to make it to the playoffs. After some great games throughout the weekend, we would see Brent Merchant & Louise Mason make it to the final against Brent Jansen & Karen Evans. In a hard fought battle it was Merchant/Mason that would make their way to the podium to receive the Gold Medal. Jansen & Evans would take home the Silver and Eric Leung & Vivian Chan would win the Bronze in a thrilling game. 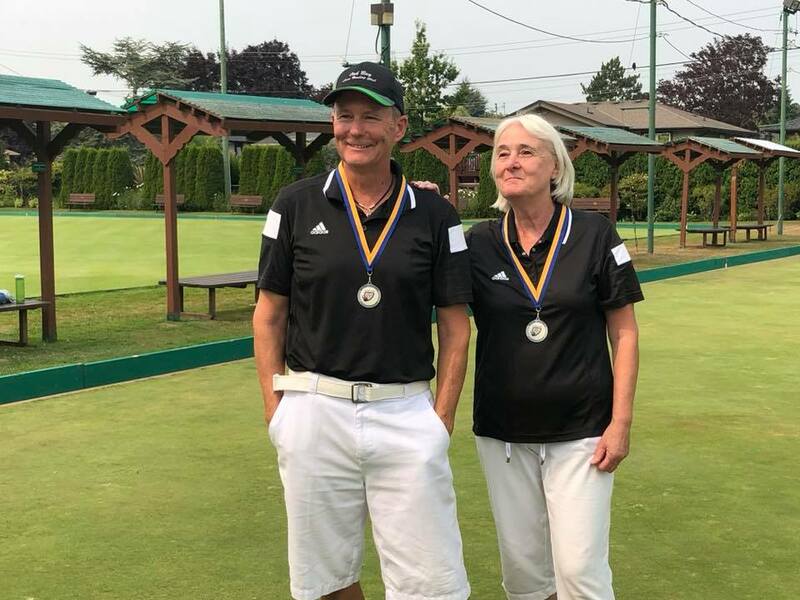 Merchant & Mason will now represent BC at the Canadian Championships being held at Qualicum Beach LBC September 11-15th. Congratulations to all 16 Teams that participated and thank you to all the volunteers that made this a great weekend for all the competitors.